Early July means crazy-making in the studio. 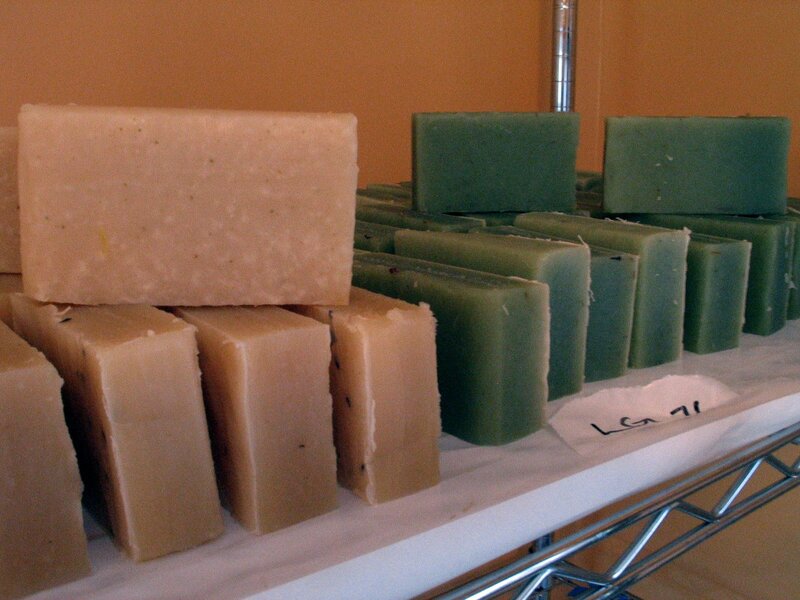 Soap takes six weeks to cure, so I’m preparing for the fall shows. The bars I cut this morning are just so scrumptious that I had to show them off a little. The green might lighten up a little as it cures. Although I hope not much. This color without synthetics – only natural beauty – herbs and plants. This entry was posted in Lavender by lostcityknits. Bookmark the permalink. Lavender lemongrass! I'll be a customer for that, be sure! Oh so pretty and so much work!